Referral spam redirects continue to circle the Web. A big spam network of affiliate websites is gaining a huge momentum, namely – spam leading to Startwp(.)org. They boost the internet traffic of partner sites, by degenerating Google Analytics data of other, targeted sites. 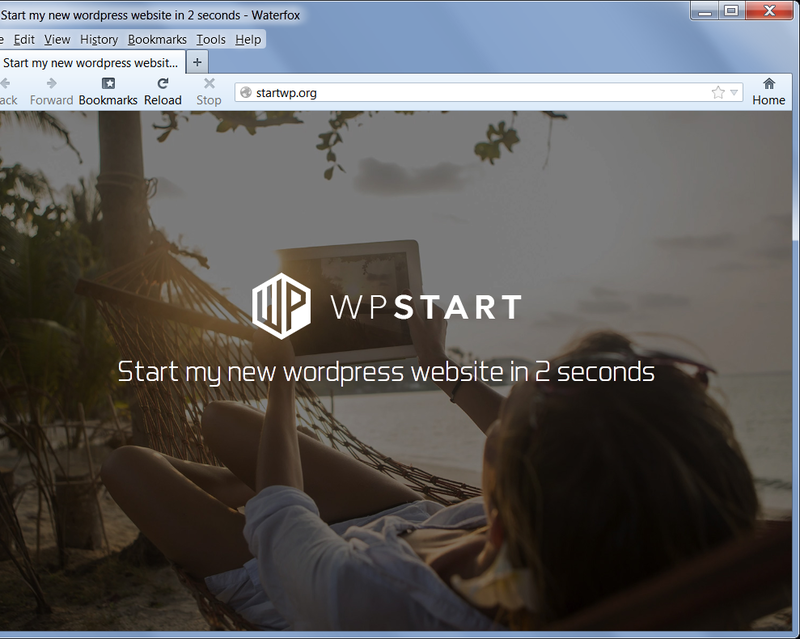 One of the most frequent redirects comes from fast-wordpress-start(.)com. Short Description The webpage may cause malicious redirects to third-party websites and vice versa. The spam can quickly devaluate a site’s statistics. Symptoms You may see multiple redirects to other potentially malicious sites. You might notice a sudden statistics drop in Google Analytics data. User Experience Join our forum to discuss Startwp(.)org. Startwp(. )org Referral Spam – How Is It Spread? Web crawlers are programmed scripts that crawl the Internet, from one website to another. They can distribute spam very quickly. The crawler fetches and analyzes information about websites, like if there is no Captcha, no robot identification, no regular updates or monitoring, etc. If a site has flagged the crawler and its activity for being spam, this spam bot chooses other sites to crawl. There are cases of spammers making their bots more durable and can also pay people to assist them in filling out Captchas. This type of spam is more sophisticated, thus more efficient. The term Ghost indicates that the spam doesn’t only bypass bot identification but also involves benefiting from free HTTP data passing through. This action could allow cyber criminals to conduct large spam campaigns on a website, meddle with Google Analytics data and devaluate a site’s statistics very swiftly. That is because the internet traffic from such bots normally has a 100% bounce rate. It is like a user visiting the affected website and leaving immediately. Traffic is redirected to websites set in the Ghost Referral. If there is a sudden spike in your Google Analytics data caused by Startwp(. )org or some of its affiliates like fast-wordpress-start(. )com you should quickly block it. Other analytical data may be affected as well. Startwp(. )org Referral Spam – What Is It? Startwp(. )org is a referral spam website. The referral traffic caused from it aims for a targeted website and devaluates its analytical data calculated by Google Analytics. It can disrupt that data with deceptive referral traffic known as ghost traffic. That’s how it promotes its affiliate websites, so that they have higher hits from all these redirected visits. The referral spam generally gets redirects from the fast-wordpress-start(. )com domain. The situation can suddenly change if a more profitable spam bot uses another domain. Startwp(. )org can affect any website by generating fake referral traffic from many different locations using spam bots, compromised computers and other various techniques. The accumulated fake Internet traffic is used to expand Startwp(. )org, its partners and affiliate websites, all of which gain a better SEO ranking as a result. To stop the Startwp(. )org referral spam from doing further damage to your website’s statistics, we have researched and found removal methods, with instructions given below. Step 5: On Filter Type choose Custom Filter –>Exclude Filter –> Field: Campaign Source–> Filter Pattern. Then on the Pattern, enter the domain name – Startwp(. )org Step 6: Select Views to Apply Filter. Method 2: Block Startwp(. )org from your server. Threats such as Startwp(. )org may be persistent. They tend to re-appear if not fully deleted. A malware removal tool like Combo Cleaner will help you to remove malicious programs, saving you the time and the struggle of tracking down numerous malicious files. Threats such as Startwp(. )org may be persistent on your system. They tend to re-appear if not fully deleted. A malware removal tool like SpyHunter will help you to remove malicious programs, saving you the time and the struggle of tracking down numerous malicious files. Note! Your computer system may be affected by Startwp(. )org and other threats. SpyHunter is a powerful malware removal tool designed to help users with in-depth system security analysis, detection and removal of threats such as Startwp(.)org. 1. Install SpyHunter to scan for Startwp(. )org and remove them. 2. Scan with SpyHunter, Detect and Remove Startwp(.)org. Ransomware infections and Startwp(. )org aim to encrypt your files using an encryption algorithm which may be very difficult to decrypt. This is why we have suggested several alternative methods that may help you go around direct decryption and try to restore your files. Bear in mind that these methods may not be 100% effective but may also help you a little or a lot in different situations. Note! Your computer system may be affected by Startwp(. )org or other threats. Remove Startwp(. )org by cleaning your Browser and Registry. Fix registry entries created by Startwp(. )org on your PC. Combo Cleaner is a powerful malware removal tool designed to help users with in-depth system security analysis, detection and removal of threats such as Startwp(.)org. Step 5: In the Applications menu, look for any suspicious app or an app with a name, similar or identical to Startwp(.)org. If you find it, right-click on the app and select “Move to Trash”. Step 6: Select Accounts, after which click on the Login Items preference. Your Mac will then show you a list of items that start automatically when you log in. Look for any suspicious apps identical or similar to Startwp(.)org. Check the app you want to stop from running automatically and then select on the Minus (“–“) icon to hide it. Remove Startwp(. )org – related extensions from your Mac’s browsers. A pop-up window will appear asking for confirmation to uninstall the extension. Select ‘Uninstall’ again, and the Startwp(. )org will be removed. When you are facing problems on your Mac as a result of unwanted scripts and programs such as Startwp(. )org, the recommended way of eliminating the threat is by using an anti-malware program. Combo Cleaner offers advanced security features along with other modules that will improve your Mac’s security and protect it in the future. Hey !, I found this information for you: "Get Rid of Startwp(. )org Referral Spam In Google Analytics". Here is the website link: https://sensorstechforum.com/get-rid-of-startwp-org-referral-spam-in-google-analytics/. Thank you.